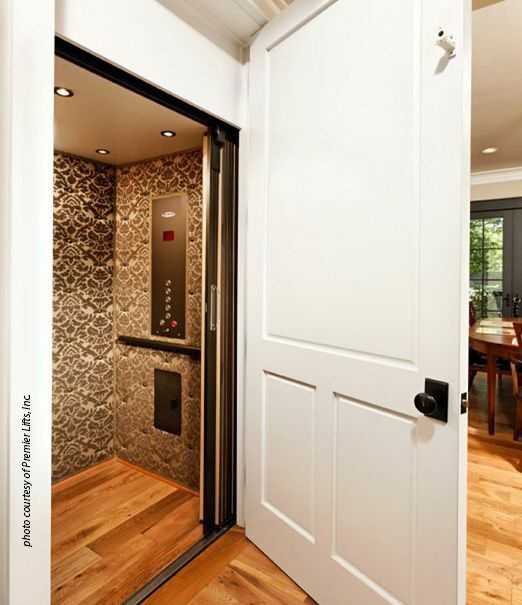 Elevators are not just a commercial product. Florida Lifts technicians have been installing a variety of residential elevators for more than a decade. We deliver convenient, sophisticated, and affordable custom design solutions for your new or existing home which will offer you optimal accessibility to all levels of your home. Not only does the increased accessibility enhance your home’s value, it is also a personal convenience for moving furniture, groceries, luggage, boxes or just simply getting around the house. We can provide you a solution for any space you have and can offer a multitude of solutions for your home, including traditional hydraulic elevators, pneumatic “vacuum” elevators, and the newer and affordable machine room-less (MRL) elevators. Call us today to discuss the various options for your new home or remodeling project.